HR people are the worst – the worst at keeping their resumes updated. I’m an HR guy, too. I have a Master’s in Labor and HR. I’m currently a HR consultant and Expert Resume Writer. I got involved with resumes by happenstance, a friend asked me to help them and a light bulb went off. I wondered how many other people with skills and talent had terrible resumes. Turns out a whole bunch. I’ve written over 300 resumes and counting. And I’ve helped a bunch of HR folks with their resumes as well. I’ve also had to update my own resume a couple times after the things I’ve learned. I want to share some important things about resumes with you. Please don’t roll your eyes and stop reading; I promise I will keep this brief and interesting. Here are some reasons why you should pay more attention to resume credentials. Let’s be honest here, 67% of all employees are currently looking for new jobs, the last time I checked HR staff are considered employees. As mentioned earlier I’ve worked with nearly 130 HR professionals on their resumes. They want new jobs like everyone else. You’re no different. So look at your resume, would you hire you based on that thing? Probably not. 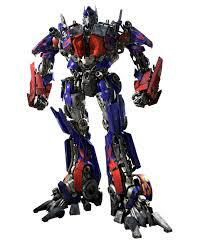 When I was a boy I loved the Transformers cartoon and action figures. Their product tagline was “Transformers, more than meet the eyes…Robots in disguise,” Resume Writing has taking me to many places, it’s not “just” resumes. It’s resumes, cover letters, LinkedIn profiles, curriculum vitae (CV), branding statements, social recruiting, mobile technologies and SEO optimization. What does that have to do with you, Mr. or Mrs. HR? Well it’s a fact that in 2014 more applicants will use their phone or tablet to get on the internet than ever before in our history, which means more people will be looking for work via a phone or tablet than ever before, which means your corporate website and career page needs to be optimized for social recruiting or you will miss out on talent! So I’m sure you’re probably thinking “screw resumes, LinkedIn is the place to be anyway.” Well not so fast. Although LinkedIn has 225 million registered users not everyone uses it and it’s not for all career types. For example many blue collar jobs are not on LinkedIn. Also not too many intern opportunities on there either. And personally, the fact that you can endorse someone for “Bacon” or “Awesomeness” (I’m not making that up, you can literally endorse someone for bacon) proves that LinkedIn is not as relevant some people may think. It’s just a matter of time before a more credible site comes along to challenge it for online job supremacy; like Facebook for instance. Think about it, Facebook gives you an idea of an applicant’s true personality and story – thus letting you know what kind of person you’re hiring. Hey don’t shoot the messenger, it’s happening now. More and more companies have Facebook pages and since Facebook is doing away with privacy settings you can search anyone – anywhere. That’s why you as an HR pro need to pay attention to resumes; it’s more than meets the eye, so think outside the box. Hey that’s easy for you – you’re in HR! Today’s post is from Chris Fields who is a member of the #lashrm14 Social Media Team. Chris is an HR professional and Expert Resume Writer with over 13 years of experience as a former practitioner and current HR consultant. He is the curator of two websites; CostofWork.com and The ResumeCrusade and contributes HR focused content to many others, includingPerformanceIcreate.com and SmartRecruiters. Follow Chris on Twitter. Categories: Human Resources | Tags: business, guest post, HR, resumecrusade | Permalink.